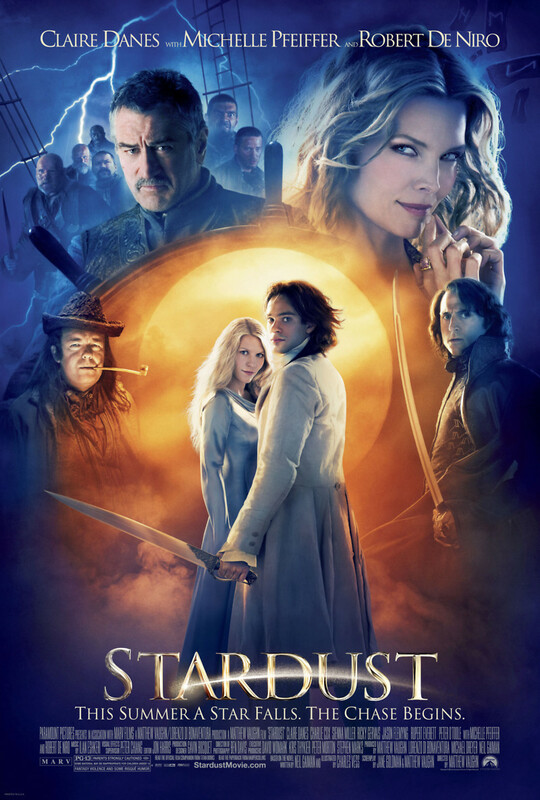 Based on the novel by Neil Gaiman, "Stardust" is a fairy tale with a modern spin. Handsome Tristan aspires to win the favor of pretty but vapid Victoria by retrieving a fallen star that lands behind their village wall, a wall that protects the villagers from the unearthly forces beyond. Yvaine is the stunning human embodiment of that fallen star, radiant and unknowingly the solution to a multitude of quests. Vowing to protect Yvaine, the two evade royal heirs competing for the crown and the cunning witch Lamia, who seeks the star's heart to prolong her life and restore her faded beauty. The sky pirate Captain Shakespeare aids Tristan and Yvaine on their journey, as good eventually triumphs over evil and unexpected love takes bloom.